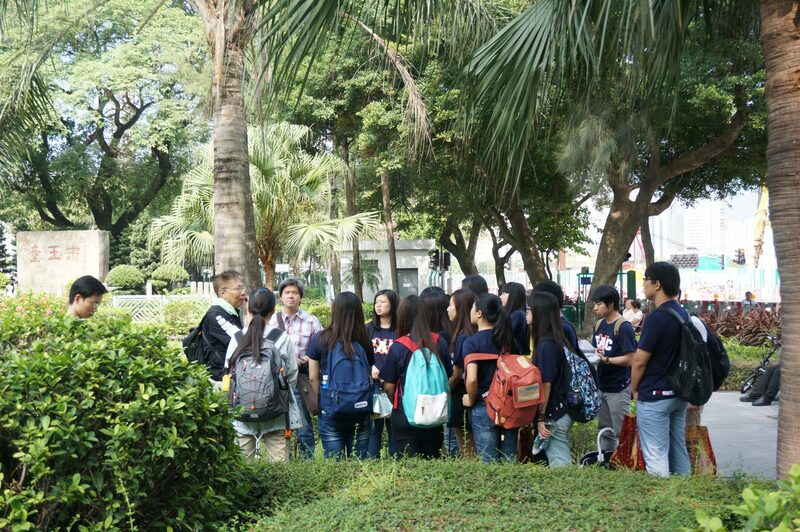 Students listened carefully to docent Uncle Paul’s detail introduction about Cattle Depot Artist Village. 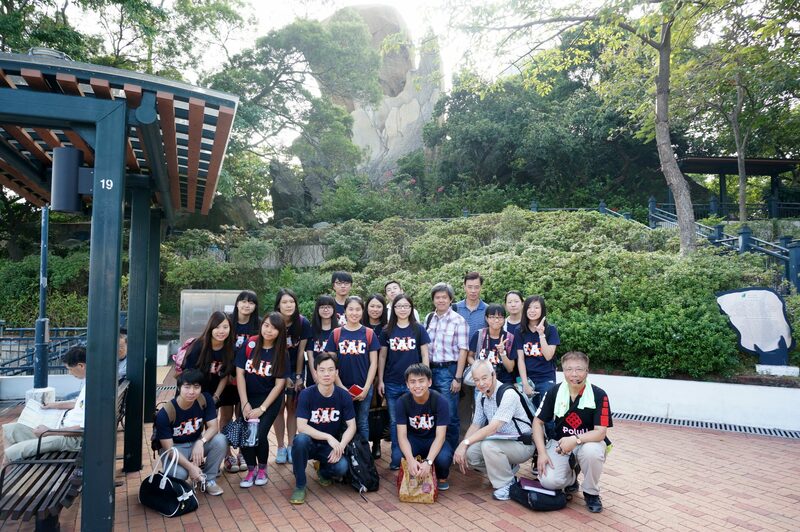 On 2nd and 3rd November, 2014, Stanley Ho East Asia College organized a trip to Hong Kong for community visits. 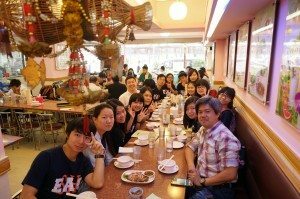 Resident Fellows Dr. Sancia Wan and Dr. Kevin Huang, and College Fellow Dr. Angus Lam (Assistant Professor at the Faculty of Science and Technology) led a group of 15 students from different years of study and disciplines to observe and understand, through field visits, interviews and workshops, how various vulnerable groups live their lives in such a fast-growing city as Hong Kong. 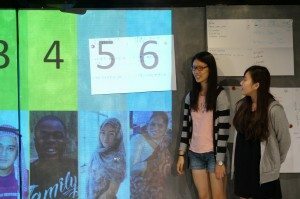 This trip aimed at helping students reflect upon certain social problems, including poverty, housing, community development, discrimination, identity and ethnic minorities. One of the teams was entering a “tong lau” to start home visits. The first day comprised three major activities: (1) a tour guided by Hoi Bun Heritage Docents Society in the To Kwa Wan community; (2) home visits to families of low socio-economic status arranged by To Kwa Wan South Community Service Office of Kowloon City Resident Association; (3) drama “If One Day We Can’t See” produced by Shek Kip Mei Lutheran Centre for the Blind of Hong Kong Lutheran Social Service at JCCAC Black Box Theatre. 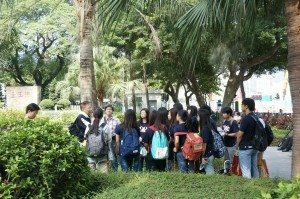 Students visited the historic site of Sacred Hill. 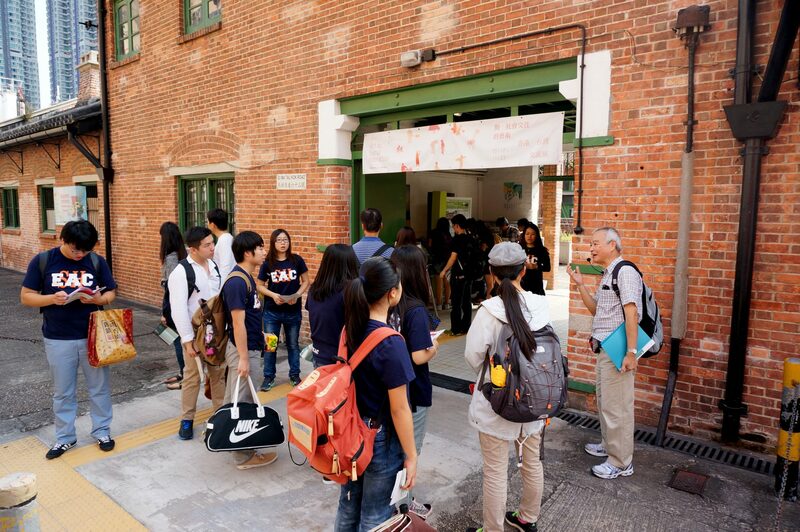 With the guidance of Mr. Paul Ng and Mr. C. P. Chow, the group of 18 participants visited a number of local spots, including Sacred Hill, Cattle Depot Artist Village, Hoi Sum Park, and so on. 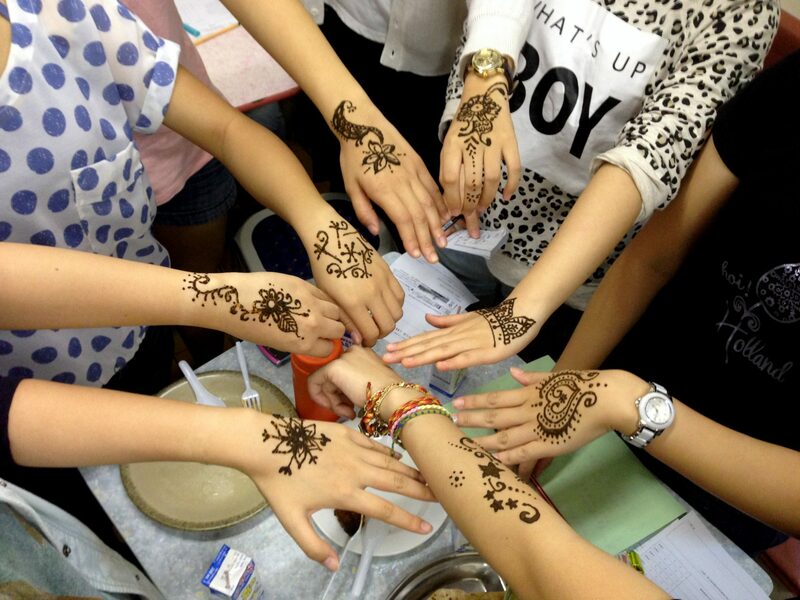 Some students said that, with Hong Kong’s present urbanization, it was difficult to imagine the past scene of the city. According to docent Paul, “The historic square wells recently excavated are located within the site of To Kwa Wan Station of the MTR Shatin to Central Line. Many people think that if the train route has to be moved, it will greatly increase the financial overruns. Therefore, they don’t want diversion, nor complete shutdown of the construction site to give way for the archaeological work. 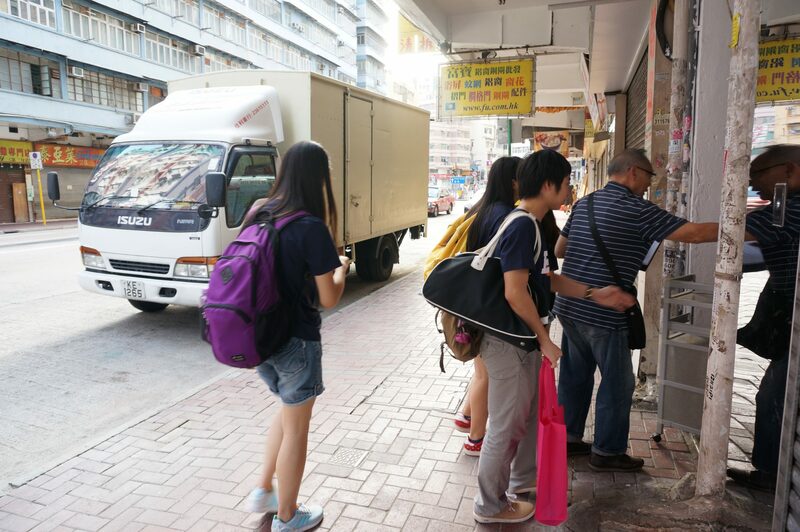 So the historical relics are likely to be destroyed.” Mr. Chow focused on the industrial development in Hong Kong: To Kwa Wan originally had a lot of industries producing firecrackers, soda, coal, and so on. There was even a cattle slaughterhouse. With the development of the city, however, we now see hotels, high-rises, museums and parks instead of factories in the area. Students had a relaxing discussion about identity issues at the Oxfam workshop. 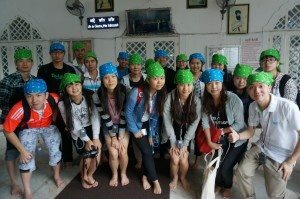 In the late afternoon, the group was divided into four teams, under the assistance of volunteers of the community service office, to visit some low socio-economic status families. Some students felt surprised that many residents in the name list were either not at home or no longer living in the properties in the list. Volunteer Mr. Cik explained, “Tenants here are highly mobile and need to go out to work. Many are from different countries. All these result in little interaction between neighbors.” During the two-hour period, each group successfully visited 3-4 families, and gained some understanding of their living circumstances. 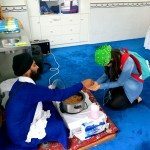 The group visited Khalsa Diwan Sikh Temple. 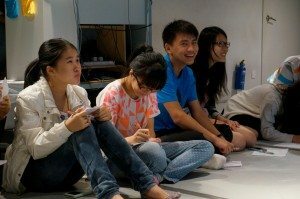 In the evening, the group arrived at the Jockey Club Creative Arts Centre (JCCAC) Black Box Theatre to appreciate a drama entitled “If One Day We Can’t See” co-starring visually-impaired and sighted actors. This drama was adapted from true stories of the visually impaired, showing the unjust circumstances facing people of two generations who suffered from partial or complete loss of vision. The remarkable interpretation of actors and the touching plots caused many audience to weep. The director hoped that more people would become concerned about these vulnerable groups in society, so that their world which already lost light would not become even colder. 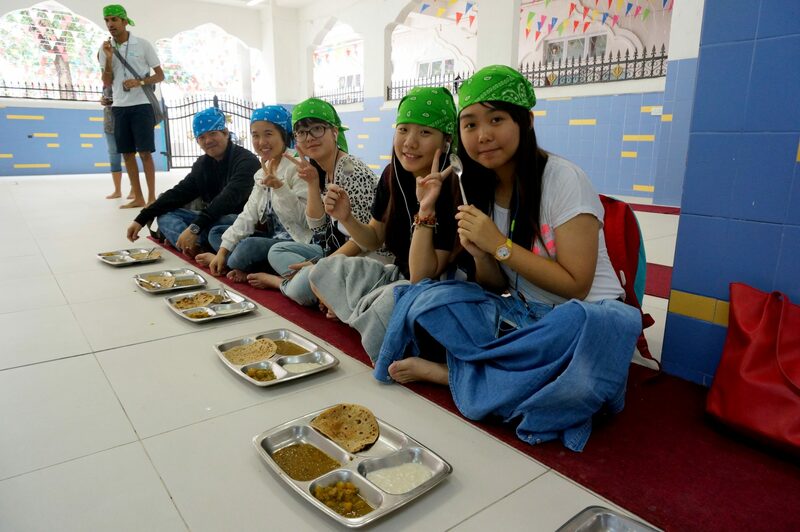 The participants had to be barefoot and wear headbands at the Sikh temple. 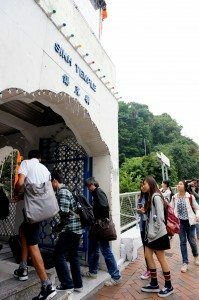 After the workshop, the group had a guided tour in Khalsa Diwan Sikh Temple in Wan Chai, led by a university student volunteer who is Sikh Indian. 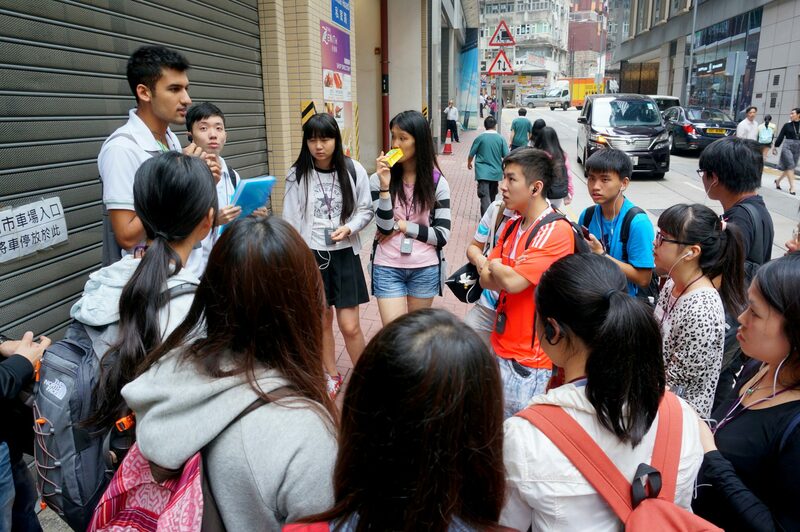 Talking in Cantonese, the student docent explained Sikhism’s origin, principles, customs, and so on. 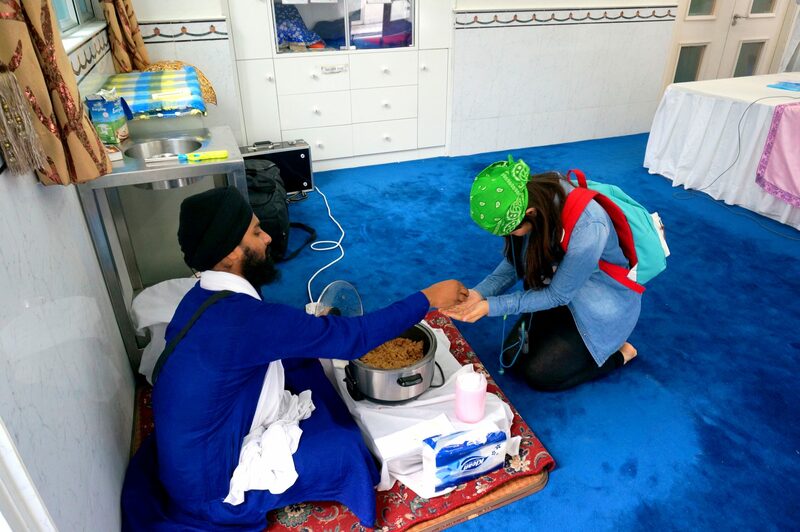 The participants also tried some staple food commonly eaten by Sikhs. Some students said it was their first time to put plates with food on the floor. 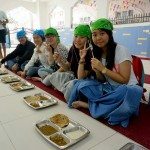 Food provided at the temple is free for anyone who comes in, regardless of ethnicity and religion, and mainly comprises vegetables in order to be inclusive of Islam and other religions. The ingredients are donated by Sikhs and even the general public. Curry is the featured dish. Students expressed that this experience was very special, as they had never thought that there would be such a place with unique religious characteristics right at the heart of urban Hong Kong. 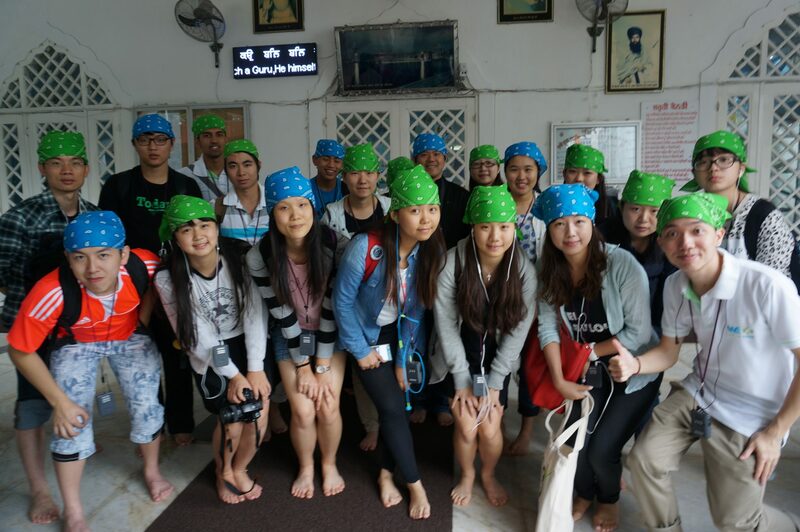 Upon completion of the journey, students shared that this trip was very fruitful, as they learned the living conditions and difficulties of different vulnerable groups in such a highly developed city. 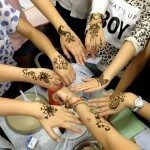 They hoped that the College would organize more similar visits to different communities in the future, so as to allow them to personally observe people’s lives in different parts of the world, and to achieve the goals of experiential learning. 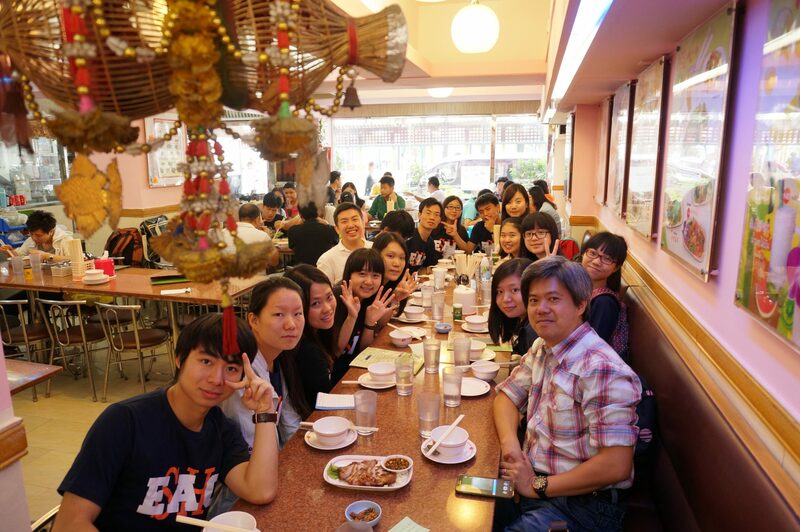 The group kicked off their journey with lunch at a Thai restaurant upon their arrival. The group left their footprint under the Fish Tail Rock in Hoi Sum Park. 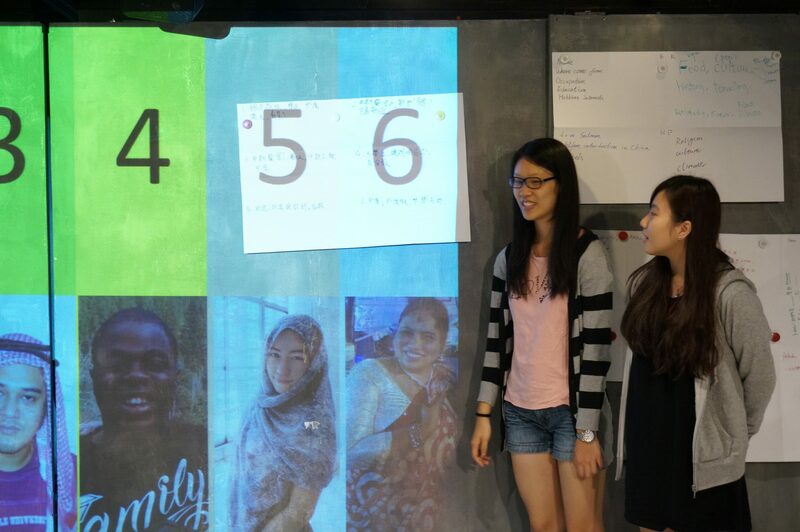 Students reported the results of their group discussion. Volunteers of the temple distributed free food to participants.